Happy New Year. I am still amazed by the fact, that my new record Point Blank climbed in the official German Rock- and Metal Charts to position 21 in the 3rd week. Thanks to all who bought, streamed or radio played my music. 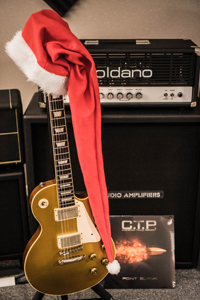 Merry Christmas and thank you for all the support and the wonderful feedback regarding my new record Point Blank. I even entered the official German Rock and Metal Charts last week. Happy holidays, love, peace and happiness everyone. “Kompositorisch und musikalisch hat der gute Herr nämlich längst das höchste Niveau erreicht und bestätigt seinen ausgezeichneten Ruf mit dem nächsten Highlight in seiner persönlichen Kollektion!" “Avec 'Point Blank', Christian Tolle sublime l'AOR : des riffs tranchants, des refrains efficaces et un chant de haut vol! A decouvrir en urgence”! Check the SHOP section as there is a limited amount of CD’s already available and ready to ship prior to the official release date. 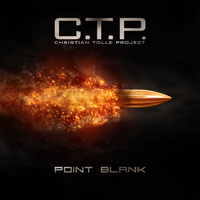 My new record - Point Blank - is set to be released on 26th of October on CTM ChrisTones Music / Fastball Music. From the uplifting opener and title track "Point Blank" to the driving grooves on "Too Late" or the hook-ladden bangers like "Black Friday" or "Borderland" the production pounds with punch and transparency. David Reece (ex-Accept, ex-Bonfire, Sainted Sinners) and John Cuijpers (Cooper Inc., Ayreon, Praying Mantis) take the lead vocals with Christian Tolle handling guitars, bass, drums and production. Add Morris Adriaens on keys and backing vocals as well as Mathias Dieth (ex- U.D.O, ex-Sinner) and L.A. based guitar hero Doug Aldrich (Dio, ex-Whitesnake, The Dead Daisies) to guest for some stunning lead guitars, you can expect nothing less than a straight and excellent rock record, touching musical roots of the late 70s and 80s with lots of hooks and energy. 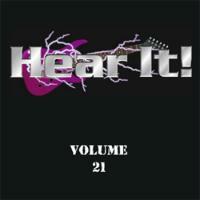 As a result "Point Blank" has turned into a real listening pleasure for all fans of guitar driven hard rock. Check out a short preview video and give it a “Like”. Finished my new C.T.P. Christian Tolle Project record and returned from Vienna and the Mastering session with Christoph Stickel. He did a fantatsic job, the tracks sound punchy and crisp. Stay tuned for more infos on this: I can promise a great collection of tunes featuring the great mates and vocalists David Reece and John Cuijpers, Morris Adriaens on keys and backing vocals as well as my friends Mathias Dieth and Doug Aldrich guesting on lead guitar. More about the release date soon. Recording for my next record these days. John Cuijpers came over to sing this great new tune I wrote with David Reece. Speaking of David: He already delivered a bunch of great vocals as well within the last weeks, so I am slowly but surely getting there. You can expect a more heavy approach with lots of classic rock vibes. I hope to have it out mid of next year. Check out the video from Never Enough on YouTube to support the release of Fanfields 2 - a tribute to TOTO. I had a lot of fun realizing this clip together with Brandon, Max, Peter and Jimmy. Quick update on what is going on these days. I am in the middle of writing new songs and so far it is going great. I have almost a new album of music in the can, so as far as I can see there will be another C.T.P. (Christian Tolle Project) release in the future. In the meantime my last album NOW & THEN is doing great. Thanks to all who give it a listen. On October 7th my new C.T.P. 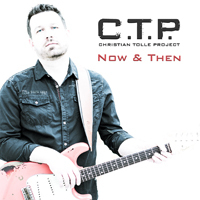 (Christian Tolle Project) record Now & Then came out. A few more reviews have been posted. 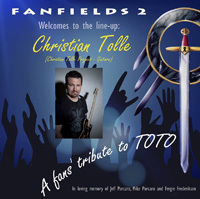 On October 1st the FANFIELDS II - Tribute To TOTO project got released. I am very proud and humbled to be part of this and join so many great musicians from all over the world. Profits are going to the Michael Porcaro Fund (Sweet Relief Musicians Fund), ALS foundation and Fergie Frederiksen Foundation (Liver Foundation). Check it out here. I am happy to announce that my new C.T.P. 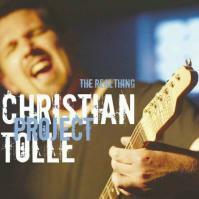 (Christian Tolle Project) CD Now & Then is ready. The official release date is 7th of October 2016 via Fastball Music. I do have a limited quantity of CDs for sale thru this website in the Shop section, that can ship as of now, so if you want to have a copy before the official release date, here is your chance. Now & Then features a bunch of new tunes plus revisited versions of my best songs from the past: All redone, handmade and with stellar vocalist and guest performances from John Parr, Philip Bardowell, Rick Riso, David Reece, John Cuijpers, Michael Voss, Steve Lukather, Michael Landau, Tim Pierce, Doug Aldrich, Chuck Wright, Lauren Scheff, Raymond Herveille, Morris Adriaens and many more. I just returned from MSM Studios in Munich. Christoph “Doc” Stickel mastered the new C.T.P. record and it sounds excellent. It will be my best release so far. Details will follow. Happy Holidays and Merry Christmas to you. May the upcoming year be healthy and prosperous. My next C.T.P. record will soon be ready for mixing, so look out for a release sooner than later in 2016. Love and peace. Another update on my next C.T.P. 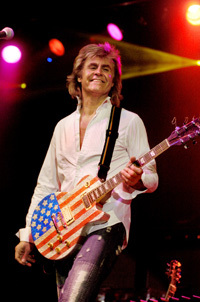 record: I am very pleased to have John Parr singing on two songs. I have been a fan and follower of his carrer from day one back in my youth and really proud to have this fine gentleman in the cast of my next release. Stay tuned, I am entering the final phase of recording and hope to get into mixing in a few weeks. 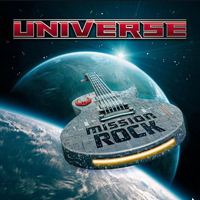 German Rockers Universe have just put out their 4th release Mission Rock. I co-wrote the song Welcome The Night. Mission Rock is a great release and if you dig classic heavy rock like Vengeance, Pretty Maids or Accept: This is for you. Check the band out on their website. 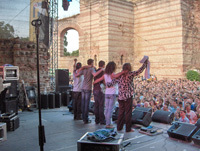 The crowd funding for Fanfields II has started, you can support the realization of this outstanding tribute to one of the best bands in the world by participating, therefore vistit the crowdfunding site. All further information can be found there as well. Profits will be going to the Michael Porcaro Fund (Sweet Relief Musicians Fund) and the ALS foundation and Fergie Frederiksen Foundation (Liver Foundation). Great day in the studio: John “Jaycee” Cuijpers (Cooper Inc., Praying Mantis) came over and he sang on a new song for my upcoming C.T.P. record. Jaycee delivered perfectly! It was great to hang and be creative together after a long time, since we haven’t seen each other for quite some time. In May 1997 a number of people of the Toto mailinglist on the Internet decided to record Toto songs as a tribute to TOTO. Quickly this became a serious project with musicians contributing from all over the world. In 2001 Fanfields 1 was released. Many musicians from all over the world contributed, like for instance Lars Saefsund and Robert Saell of Work of Art, Phil Vincent, Ed James and Michael Riesenbeck. 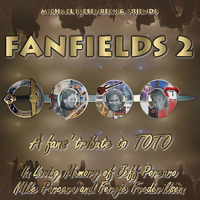 Since then a lot has happened with Toto and the original initiators feel that the time is right to start the work on another Fanfields album with profits going to the Michael Porcaro Fund (Sweet Relief Musicians Fund), ALS foundation and Fergie Frederiksen Foundation (Liver Foundation). Fanfields 2 will contain a host of awesome musicians from all over the globe and will be released in 2016. There will be a crowd funding campaign in order to get sufficient funds available to release this album. I am honored and proud to join Fanfields 2. Here is an update on my next C.T.P. record, that I am working on. A lot has happened since I started late 2014. It will be a collection of revisited songs from my first releases and a bunch of new tracks wih a great cast of musicians. Just recently two wonderful vocalists did a fantastic job. Philip Bardowell (ex Beach Boys, ex Unruly Child and solo artist) put some vocals on two songs and also the wonderful Rick Riso sang two tunes. There is more coming soon and I hope to get it released late 2015. More info soon. I am happy to announce the release of FIASKO’s debut CD Jetzt jöh! on my label CTM ChrisTones Music for the 20th of December. I had a great time producing this record, as we put a lot of energy and passion into the recordings and arrangements. 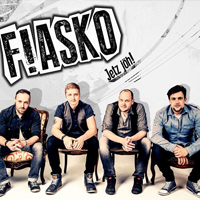 FIASKO are kickstarting their career and I am sure the record will be appreciated hugely in the upcoming Cologne carneval season. Check out FIASKO on the web! Also worthwile mentioning: I have started to work on a new C.T.P. record (number 4 that is). And I am thrilled to be joined by Raymond Hervielle on drums. Ray is one of the best drummers I have ever met and I am not kidding, he is up there with the best. 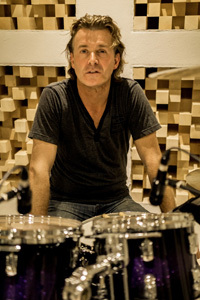 My friend Dirk Brouns at Studio Maasland recorded Ray’s drumming for eight tunes already. A bit more to come and as I said, I have just started. Stay tuned. 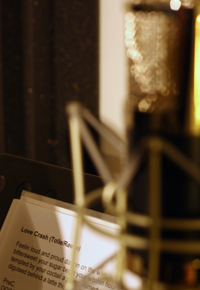 Again I wrote and recorded more music for David Reece for his next solo record. Always great fun to put out some heavy rockin` tunes. De Schwimmbutze renamed themself to FIASKO. I am producing these amazingly talented four piece. The hard work we put into the production finally leads to a release on a sampler this month. A full record will see the light of day this year. 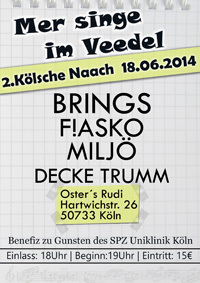 Check them out on Facebook and live at the 18th of June supporting BRINGS in Köln- Nippes at Oster’s Rudi. I started to write new material with David Reece, a scorcher is in the pipeline for a future release. Also finished production for a great local newcomer band called De Schwimmbutze. Great party songs sung in local dialect. 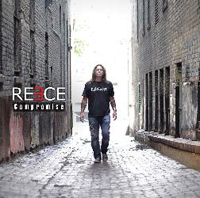 The 2nd solo album from David Reece (Bangalore Choir, Ex-Accept) called Compromise has been set for release 25th of October by AOR Heaven/Metal Heaven. I am honoured to contribute: I wrote the music and played on End Of It All and Along The Ride as well as playing on Where My Heart Belongs and Treasure Hunter. David rocks! 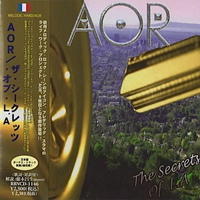 The 12th AOR CD called The Secrets Of L.A. will be released mid november in Europe by AOR Heaven & just a little before in October in Japan (with 2 bonus tracks) on Rubicon Music. I co-produced and played guitars as well as bass on the bonus track I Owe It To Myself - a great tune by Frederic Slama. 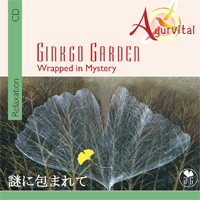 I worked with Eddy F. Müller again for his new Ginkgo Garden CD called Wrapped in Mystery and played on three songs. Great instrumental music with a New Age vibe. The CD will be released via Sony Music 31st of May. More here: Ginkgo Garden. Also I have been working with David Reece again. We wrote a great track together for his upcoming solo CD, which will be a “headbangers ball” for sure. 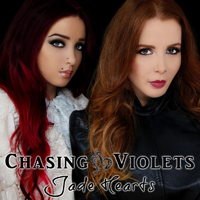 The new Chasing Violets CD Jade Hearts will be released June 14th on AOR Records. Here is what the record label says: „Once again the talented and sensual French sisters Sarah & Mélissa Fontaine have surrounded themselves with the best musicians from the AOR scene like Frédéric Slama, Tommy Denander, Paul Sabu, Göran Edman, Mikael Erlandsson, Bob Harris, members of Alien, Hardline & Lionville, Christian Tolle, Eric Ragno (Jeff Scott Soto) among many others...“ Check out Sarah and Melissa Fontaine, I co-produced and played on a few songs on their upcoming and second release. 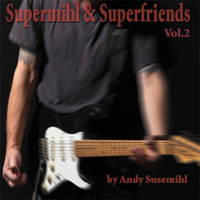 Andy Susemihl will finally release his next solo CD called Supermihl & Superfriends Vol. 2 beginning of May. I wrote the song Dr. Dude with him and we shared the guitars on that instrumental track. Check out Andy here, his record is a beautiful collection of great songs. Andy is one of the most talented musicians I ever had the honour to work with. Ripping session with my friend Mathias Dieth: We recorded some guitar solos for an upcoming release of Wicked Sensation. 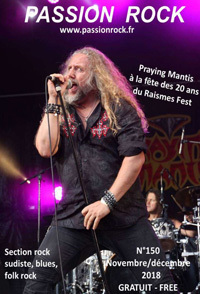 Mathias, who became a well known player back in the 80s with bands like Sinner and U.D.O. has a great taste, chops and a stunning feel for melodies. 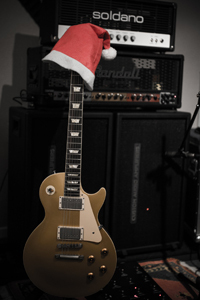 Happy holidays and all the best for the upcoming year everybody. 2012 was great, proud of my third C.T.P. release The Higher They Climb and been busy with several sessions and studio work this year. Again I worked on a new track for Chasing Violets and AOR this week and will continue early next year with more music and new songs to come. 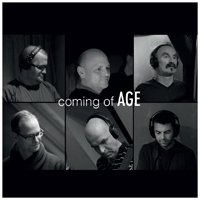 I recently worked with some friends from the band The Pace from the beautiful Southern part of Germany on their upcoming fourth release called Coming Of Age. Beside playing a solo on the track Crying, I mastered the CD. Check them out on Facebook! I have also been busy co-producing and working for new music with Frederic Slama again this month, always good fun and fantastic AOR music. Then I did a few guitar tracks for the next record of San Diego based singer/songwriter Kevin Martin called Future Friends, produced by my L.A.-friend Lauren Scheff. A new release from Frederic Slama’s AOR will be out soon: The new CD called L.A. 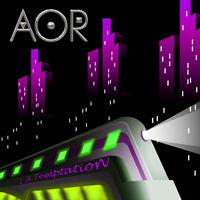 Temptation will be released by AOR Heaven at the 23rd of November. I co-produced the wonderful track Hearbeat Away with James Christian on Vocals, as well as playing guitars and bass on it. More on Frederic Slama’s website. Finally the new Tango Down CD got released. I wrote two tracks together with singer and frontman David Reece. Check out the boys take on Magic Pudding and Dreamchild. Here is Tango Down on the web. A quick update: I was busy the last weeks with co-producing and recording for Frederic Slama’s AOR again as well as working on new arrangements with Chasing Violets, who just did release their debut CD Outside Heaven on Perris Records. 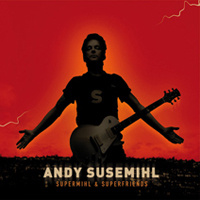 Also I wrote an instrumental song called Dr. Dude with my friend Andy Susemihl for his next solo effort. That one turned out real nice. My friends from the band Universe are producing a new record and I gave them a bit of music. Looking forward to hear their twist on it. These guys rock! 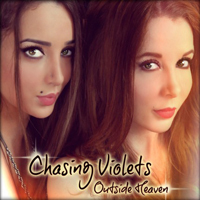 Sarah and Mélissa Fontaine from France premier AOR band CHASING VIOLETS have announced their debut CD Outside Heaven for release later this year. Produced by Frédéric Slama of AOR fame and co-produced by Tommy Denander with the help of Paul Sabu (Only Child, Shania Twain), David Diggs (Quincy Jones, Richie Furay), Christian Tolle (C.T.P., Cooper Inc.), and various top arrangers, Outside Heaven is pure stroke of genius taking AOR music to a new level of perfection. I am honoured to have co-produced the fabuluos uptempo song called Just Wanna Be Your Heroin as well as playing guitars and bass on it. Check Sarah’s and Mélissa’s website for more details. Check out the interview Marc Schipper did with me for HardHarderHeavy on their website (it’s in German language). 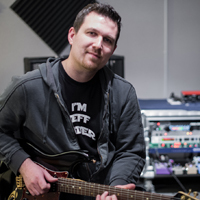 Check out the interview with Jon Wilde of the British online magazine ROCK REALMS here. Coming soon fellows: The third C.T.P. 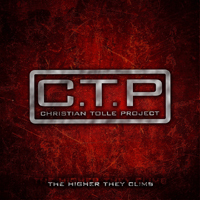 / Christian Tolle Project CD titled The Higher They Climb is finished! Michael Voss and I co-produced 12 tracks between summer and winter 2011. I am very pleased with the result: Performed with an incredible amount of energy the album contains a powerful mixture of hard hitting Heavy Rock tracks (no ballads! ), catchy hooklines and some of the best voices in the genre: David Reece (Ex-Accept, Bangalore Choir), Leon Goewie (Vengeance), Paul Shortino (King Kobra, Ex-Quiet Riot, Rough Cutt) and Michael Voss (Michael Schenker, Casanova, Mad Max). Also a few friends joined me on the guitar: L.A. guitar wizard Michael Landau, Ben Granfelt (Ex-Wishbone Ash), Andy Susemihl and Morris Adriaens do a guitar solo each and give the record a special flavour. The album will be released 30th of March via FASTBALL Music. 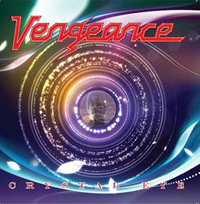 I contributed to the new Vengeance CD Crystal Eye with the opening track Me And You. The CD will come out 24th of February 2012 on Steamhammer/SPV. Vengeance now is: Leon Goewie on vocals, drummer Chris Slade (Ex- AC/DC), guitarist Keri Kelli (Ex- Alice Cooper) and bass player Chris Glen (Michael Schenker Group). 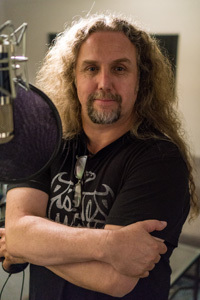 Crystal Eye was produced by Michael Voss. 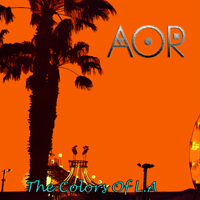 Check out a Youtube-Teaser for the new AOR CD The Colors Of L.A.
From Frederic Slama’s website: The new AOR CD entitled The Colors Of L.A will be released January 27th on AOR Boulevard Records and will include some of the best musicians of the AOR world like Tommy Denander, Philip Bardowell, David Foster, Steve Lukather, Jerry Hludzik, Joey Summer, Christian Tolle, Randy Goodrum, Steve Newman, Joe Pasquale, Michael Thompson, Rick Riso, Bill Champlin, David Diggs, Bruno Levesque, Michael Landau, David Williams, Vinnie Colaiuta, Brandon Fields among many others. I co-produced and played on Kimberly (with Steve Newman on vocals) and Brittany (with Philip Bardowell on vocals) as well as playing guitars on the new version of Teach Me How To Love You Again (with Rick Riso on vocals). The new C.T.P. CD is mastered and finished, I just returned from MSM studios in Munich. The 12 tracks indeed do sound fat and punchy. Christoph Stickel once again did a fantastic job. A release is planned for early 2012, more news soon. 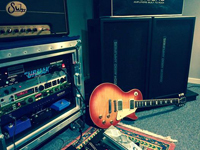 Just returned from 3 days tracking guitars at Kidroom studio with producer Michael Voss for my next C.T.P. record. It's gonna be loud and heavy. There will be more music in 2011/12. I started to record my next C.T.P. release and teamed up with producer Michael Voss (Michael Schenker, Voices of Rock, Casanova, Mad Max, Cooper Inc.). 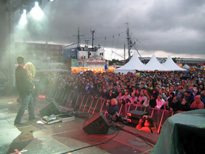 It will include some rocking appearances from singers all over the world and then some. I am very exicited. This will be a straight Heavy Rock effort thru and thru. 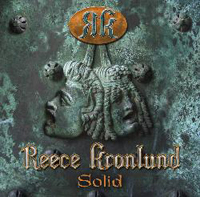 Reece-Kronlund is the new project of Bangalore Choir singer David Reece (ex-Accept) and Swedish guitarist/producer Martin Kronlund (Gypsy Rose). The debut album Solid will be released on June 24th through AOR Heaven. I co-wrote three tracks on Solid: Animals & Canibals, Remember You and Magic Pudding. More at REECEWORLD. The following CD’s are 7,90 EUR each! Happy new year everybody. I start the year co-producing with Frederic Slama for his next AOR project. Happy Holidays and all the best for 2011. Thanks to all who supported and worked with me. It was a pleasure. More to come next year. Again a great day of recording with David Reece. Also we did an interview for the online magazin www.hardharderheavy.de. Thanks to Stephan König for coming over. I did a a few layer guitar tracks for David Reece at my friends Markus homestudio and played a few parts through his wonderful original Tri-Stereo-Chorus that will add some flavour to a few tunes, I love that vintage outboard gear. 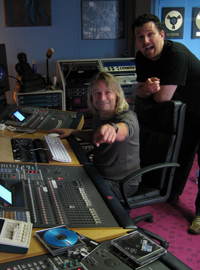 I started to record and produce in my studio with David Reece. We have written more songs over the summer together. Those tracks are some great pieces of hard rockin music! Stay tuned! David and I also wrote for the upcoming release of US-Rockers Tango Down, another great band David is fronting. Their next CD will be released on Kivel Records soon. David rocks! Check him out on REECEWORLD. I started to write songs with David Reece recently. 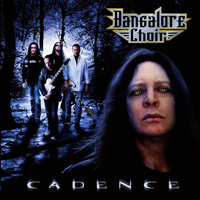 Our first output Heart Attack & Vine can be heard on the new Bangalore Choir CD Cadence, which will be released at the 23rd of September on Metal Heaven records. I also guested for a solo on a great uptempo track called High On The Clouds. Happy new year! Looks like a promising start yet. I am writing new songs already and I’ll play more with Cooper Inc. live to support the recent release. Therefore we’ll do another show together with our friends from REECE at the 10th of April in Cologne at the Krebelshof e.V. A big thank you to everybody who supported us at the Rock Temple in Kerkrade and at the Spirit of 66 in Verviers at the recent Cooper Inc. shows. Thanks to Jorn and especially to David Reece and his band - great guys, great music and most important: good friends. 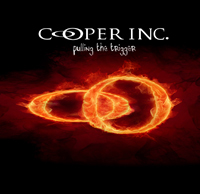 I am happy to announce that the the new CD from Cooper Inc. - Pulling The Trigger is set for release by CTM christones music / POINT Music Distribution on the 9th of October. 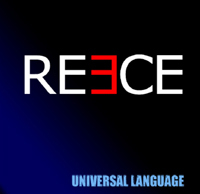 I am honored to guest on the debut solo CD Universal Language from David Reece (Accept, Bangalore Choir, Gypsy Rose and Sircle Of Sirence). I played lead guitar on the opener Before I Die. The CD will be released on August 28th on Metal Heaven records. Getting busy lately: Cooper Inc. has finally started to produce the next album. We are very happy to announce the collaboration with top producer Michael Voss, whom you might know from Mad Max, Casanova, Demon Drive or Voices Of Rock. We will work and record within the next coming weeks and hope to have everything done by the end of the year. It will be a fantastic record. I promise! The three shows with TOTO in Hannover, Bremerhaven and Dortmund have been awesome. Thanks to everybody who supported us there. Of course a BIG THANK YOU to TOTO, their crew and to the promoters for making it all possible. You guys rule! 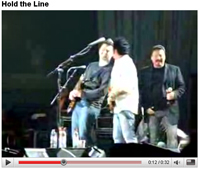 The most exciting moment was of course playing Hold The Line with the guys in Dortmund. Check it out on YouTube. Cooper Inc. will support TOTO on a few shows on their upcoming summer leg of the FALLING IN BETWEEN tour. Plus we’ll do some shows on our own. We are in the middle of pre-production for the next CD and we are having a bunch of very cool new songs. 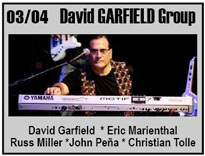 I am humbled and honoured to play with David Garfield, John Pena, Russ Miller and Eric Marienthal at the Spirit of 66 in Verviers/Belgium at the 3rd of April. It’s a challenge and I will give my very best to hold the candle with those legends. A BIG THANK YOU to TOTO, their crew and the local promoters for treating us like family. The two shows in Trier and Emmendingen have been fantastic. Thanks to everybody for their kind words and the appreciation. Check out some pics at the Gallery. If you like, sign our guestbook at the Cooper Inc website. Wow, we will support TOTO (again) in Trier and Emmendingen this summer. Rock It magazine 01/2006 features an interview with CTP. 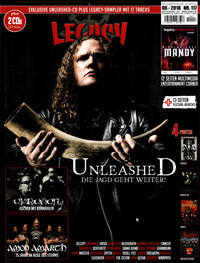 CTP's song Enemy can be heard on the new ROCK IT sampler HEAR IT Volume 21, coming with the current issue of the magazine. CTP's follow up to "Better Than Dreams" is out now on CTM christones music. "The Real Thing" features 10 fresh AOR songs with performances from Steve Lukather, Tim Pierce, Doug Aldrich, Chuck Wright, Lauren Scheff, John "Jaycee" Cuijpers and many other great players.